White chocolate is not for all tastes. hough everyone has their own food aversions, it seems some foods have no middle ground: people tend to love or hate them. Let’s start with food that (almost) everyone can agree on as delicious. Think pizza and gelato, for instance. Others are a more polarizing, with gorgonzola cheese and anchovies falling into the love-hate category. Positive or negative, food elicits passion. Those that most often produce aversion tend to be pungent, stinky, bitter, slimy, or excessively fermented. These love-hate feelings can divide entire households and even spoil budding relationships. Here’s a slice of my own catalogue of views on a number of occasionally divisive ingredients and foods. Cilantro: A very controversial herb. While most food disagreements are based on differences in preference, cilantro is another story. How one tastes it actually depends on a genetic trait only some inherit. For many people, cilantro is a bright, fresh herb that adds a burst of flavor. Others, like myself, are burdened with a genetic mutation that makes the herb taste like soap. Forget Twizzlers or Red Vines. 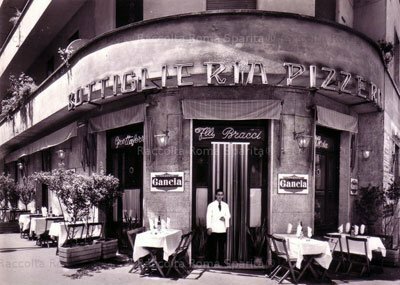 Black liquirizia is the Calabrian real deal, and it has both a loyal following, and adamant disparagers. 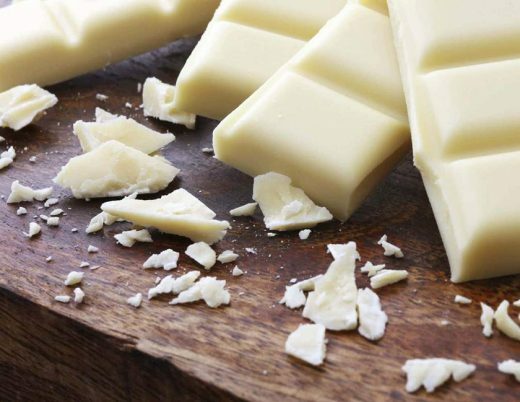 White chocolate: The world is divided between dark and milk chocolate lovers. But both often fall in the camp of white chocolate haters. Cream-colored bars are actually not even chocolate, rather a derivative that is made by removing all cocoa solids, and leaving only the cocoa butter to be mixed with sugar and milk. Those who dislike the flavor of white chocolate—myself among them—regard it as too sweet and cloying. Durian: The large, spiky fruit native to Malaysia and Indonesia is coveted throughout much of Asia for its rich flesh. But it’s also banned on some public transit systems because of its petrol aroma, with whiffs of garbage-sitting-in-the-sun and dirty gym bag. Just how much durian reeks depends on the varieties of the fruit. The stink of Durian will take over whatever it’s stored with. Cultural context is an important factor in how foods can polarize, because some maintain that beyond the dead animal smell, the fruit actually tastes sweet, creamy and delicious, while those who dislike durian are firm in their stance that it tastes just as it smells. I have never had the guts to go beyond the stench. Swedish fermented herring: Surströmming—Swedish for “sour herring”—is a salted, fermented Baltic Sea herring that ferments for 6 months in a light salt brine. This lends the fish its characteristic mighty smell and acidic taste. A newly opened can of surströmming has one of the most putrid food smells in the world. Because of the foul smell, this canned fish is ordinarily eaten outdoors. Also, the pressurized tin is normally opened at a distance from the dining table, by initially puncturing it while immersed in a bucket of water, or after tapping and tilting it upwards at a 45 degree angle, to prevent the escaping gas from spraying any brine. A number of major airlines banned it, claiming that the pressurized tins were potentially explosive. Liver: Offal deserves a chapter to itself, but among bovine organs that are such an integral part of the rugged cucina romana known as quinto quarto, or the fifth quarter, it’s the traditional liver—with its gamey, iron-y funk—that is the least favorite. Tripe and kidneys fall in this same camp closely behind. As much as I love Tuscan chicken liver crostini, and stand behind my questionable passion for foie gras, liver and onions is still something I cannot swallow. Try finding a consensus view on octopus. Octopus: Whenever I post an octopus or calamari recipe on my blog, I register a steep dip in readers and traffic. Tentacles freak people out. And to be honest I love those intelligent creatures so much that I sometimes pause a moment before eating them. But they are so damn tasty! Grilled, stewed, fried, seared or marinated raw, I can eat polpo in many, many ways. Yeast extract spread: If you haven’t spent time in Britain, South Africa or Australia, you might not understand the affection regarding yeast extract spreads such as Marmite and Vegemite. The taste is umami and extremely savory, usually enjoyed smeared in a thin layer on buttered toast for breakfast. Haters of the condiment probably won’t be surprised to learn that the smell wafting from a London Marmite factory once pushed local residents to ask for rent reductions. I’m a lukewarm fan. Blue cheese: It’s hard for me to fathom how anyone could despise blue cheese, and call it “a weapon of mass destruction” but the veins of blue-green penicillium roqueforti put off a large part of humanity. Including my late father. When he found out I had written an ode to blue cheese on this very magazine, he threatened serious retaliation. Funky cheeses in general spark controversy; imagine ones streaked with mold. Haters describe the blue cheese experience using organoleptic descriptors such as dirty socks, smelly feet, and dumpster debris; while I taste it as deliciously earthy, pungent, and tingly, with a salty and fudgy quip at the finish. Eleonora Baldwin lives in Rome dividing her time between food and lifestyle writing, hosting prime-time TV shows, and designing Italian culinary adventures. 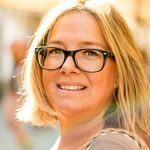 She is the author of popular blogs Aglio, Olio e Peperoncino and Casa Mia Italy Food & Wine.